Tonight at AceNet, Rural Action's own Sarah Warda will be teaching a Yogurt Making Workshop in collaboration with Community Food Initiatives. It will be the first in a series of workshops for Earth Month, a project of CFI and Ohio University's Office of Sustainability. 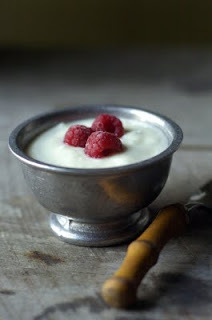 Sarah will be teaching the very simple method of how to make your own yogurt at home. Its delicious and cost effective and so easy! The workshop is at AceNet's kitchen at 94 Columbus Rd. from 6:30-8:30pm tonight. If you can't make the workshop, but are interested in making your own yogurt at home, you can check out Sarah's Weekend Workshop blog posting at on the subject at Ohio Foodshed's Eat With the Season blog.